To put together this dossier, the editorial team used the following methodology. We then proceeded to rank the companies by sector of activity (agri-food, distribution, electrical, IT services, greentech, real-estate, industrial, software, leisure, luxury goods, media, ICT, healthcare, services and transport). In addition, we also take into account the development of a company. 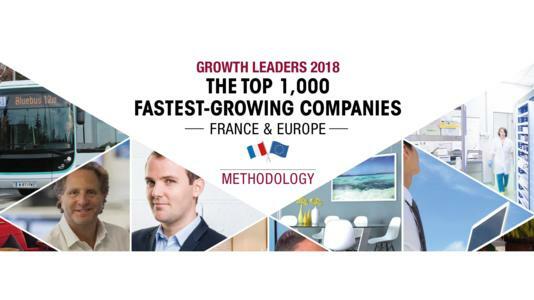 Three stages of growth expressed by earnings are included in the Leaders League method to obtain a balanced selection: five to twenty million euros, twenty to one hundred million euros, and one hundred million euros and above. The database of businesses consulted to create this dossier was compiled from various sources. They include: Décideurs Magazine Bureau Van Dijk and Grand prix des entreprises de croissance. Belgian consultancy firm MW5 were involved in the methodology-selection process. To best reflect the diversity of European companies we first ranked companies by sector of activity and by earnings band (five to twenty million euros, twenty to one hundred million euros, and one hundred million euros and above).